Time for tea? We serve Lazy Days tea in our cafe or you can buy Tregothnan tea in the store. Or if your a coffee lover, join us for Origin Coffee’s range of brewed coffees in our lovely, light cafe. 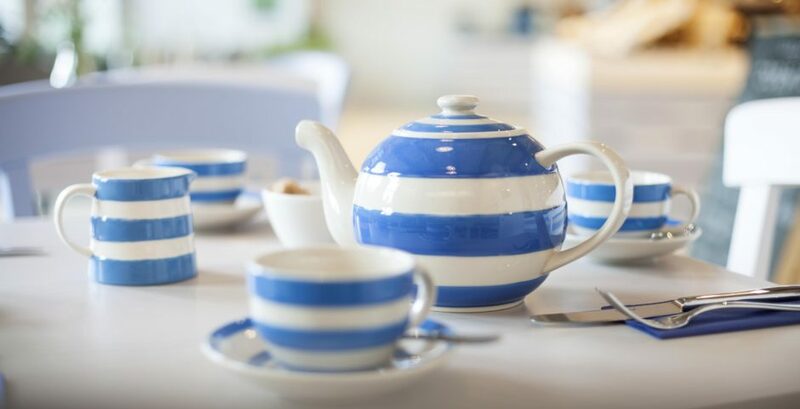 We love using our Cornishware stripes and this photo perfectly sums this up. Our chef-led cafe is open for breakfast, lunch or afternoon tea. If you have an allergen, please let our staff know and we will do our best to accommodate you. We look forward to seeing you.